The consumption of antibiotics in infants and children should always have been prescribed by the pediatrician and taken under their supervision. When are they adequate and how to administer them? And what side effects do they have? The use of antibiotics in children should always be prescribed by the pediatrician since its effectiveness depends mainly on following the guidelines indicated by the specialist not only in terms of dose and quantity but whenever there is an infection of bacterial origin. However, especially in adults, the consumption of antibiotics has skyrocketed in recent years, in many cases alarmingly, since it is usually very common to take them when in reality it is not necessary (because we are, for example, faced with a viral rather than bacterial infection), obviating the importance that they must always have been prescribed by a doctor. In fact, as we already knew in the article on the health risks of taking antibiotics without a prescription, if they are consumed when we do not really need them, we run the risk that, in the future, the bacteria will become more resistant to They will end up losing their very important effectiveness, with the risks that this entails. What are antibiotics and what are they for? They are medicines or using drugs in case of infections caused by bacteria, either preventing them from multiplying or directly causing the death of these. Depending on the bacteria that caused the infection, there is a wide variety of antibiotics, which have been specially studied to combat the different types of bacteria that exist at the moment. For this reason, antibiotics should always be consumed with the proper medical prescription, and always under the supervision of the specialist. In the case of children this is even more important, given that we must remember something fundamental: antibiotics are only useful – and adequate – to combat those infections that have a bacterial origin. This means that antibiotics are not useful in case of viral infections. In fact, when the child suffers a pathology of a viral nature (that is, caused by a virus), your immune system is able to fight the infection independently and autonomously with the passage of time. When our child becomes ill, the most common is to go to the pediatrician for evaluation and analysis. If the pediatrician considers it, especially because of the symptoms that the child suffers may suspect that it is a bacterial infection, prescribe antibiotics and indicate the doses and amount to be administered to the child (ie, the number of times a day and in what dose). Therefore, treatment with antibiotics should always be prescribed by the doctor, being very important to avoid “self-medication”. Evolution of fever: When an infection is bacterial, the most common is that the fever is higher, lasts longer and can be above 38.5ºC. Mucus and secretions: After the first 24 hours after the appearance of the first symptoms, it is common for the mucus and secretions to be more greenish, yellowish or purulent. Upset and tiredness: When the infection is bacterial it is common that the discomfort and fatigue is much more severe. The body hurts more, and fatigue is very common. Presence of plaques: When a process is viral, purulent production is not usual at the beginning, nor plaques appear in the throat. However, when the infection is bacterial, purulent plaques may appear. Occasionally, when the infection is bacterial but plaques have not yet emerged in the oral cavity, sore throat and symptoms may suggest performing a pharyngeal swab, which involves taking a small sample from the throat and directly helping to check if the infection is really bacterial. 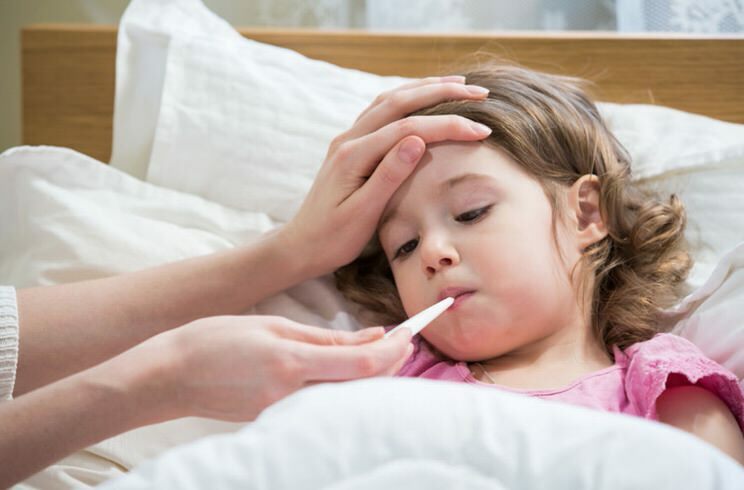 However, before the appearance of fever many pediatricians advise waiting a few days before starting antibiotic treatment, since it is possible that after a few days you may notice an improvement. If this happens, the treatment is not necessary, since it will be a viral infection, when it resolves spontaneously in a few days. 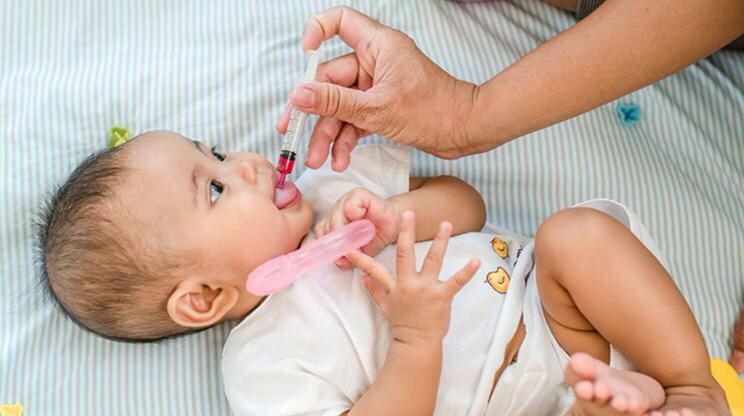 How to administer the antibiotic to the baby and to the small child? 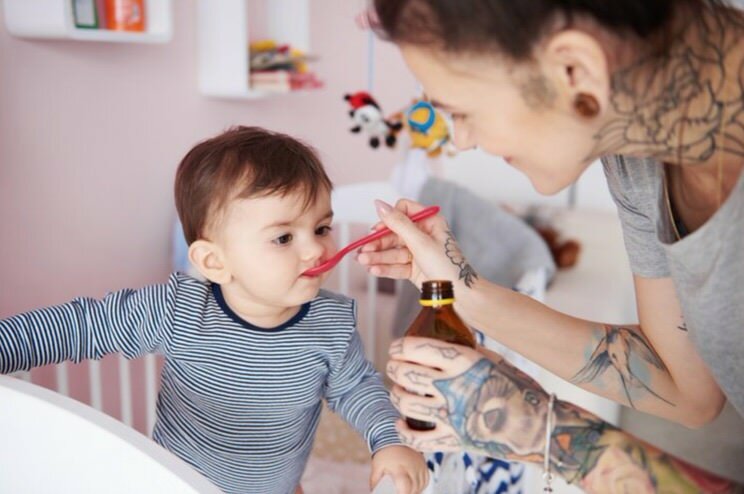 As we have already mentioned at some other point throughout the present note, it is very important to follow the instructions given by the pediatrician, without skipping doses and always respecting the quantities. This will help the antibiotic to be effective, given that by administering it in the proper amounts and doses, and respecting the schedules of the shots, we will ensure that the medication is always present in the blood, which makes it effective. In addition, it is not appropriate to resort to the same treatment without first consulting the doctor even if the child has an infection already treated before. Even if the symptoms are the same, we could be wrong, and actually be a viral infection. What are the side effects of antibiotics in the baby or in the child? As with other drugs, antibiotics also tend to often cause side effects. The most common is diarrhea, since this type of medication often irritates the gastrointestinal system, in addition to adversely affecting the intestinal bacterial flora (ie, the “good” bacteria that protect our intestines from the colonization of harmful bacteria). Fatigue is also common, as well as other gastrointestinal disorders such as vomiting, lack of appetite or nausea. What Determines Which IVF Protocol I Am Treated With? August 4, 2018 Sara Comments Off on What Determines Which IVF Protocol I Am Treated With?